Come and see our new, renovated hostel in the downtown of Budapest! We offer you a home-like, quiet, clean and comfortable place to stay, for a great price. 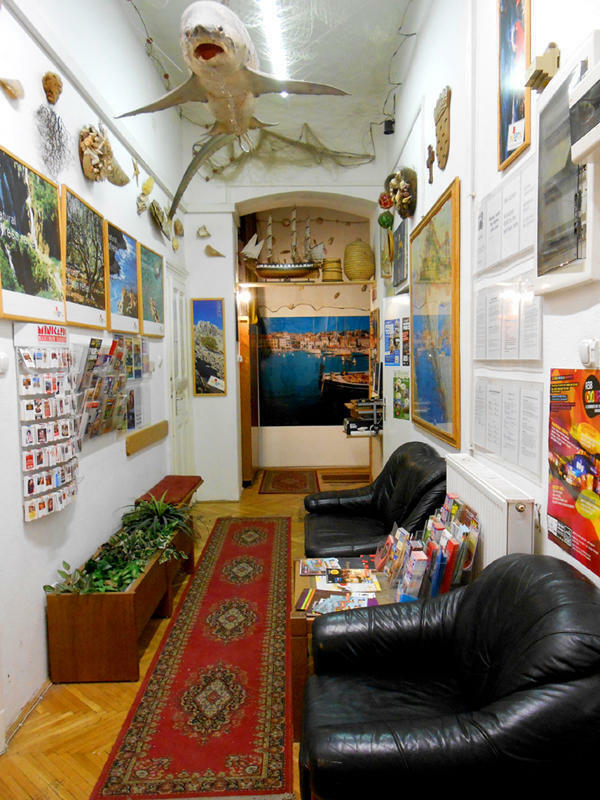 Our well-travelled staff will give you all the information you may need to have a great time in Budapest, and eager to help you in any matter. Traditional hungarian dinner for free! Try our homecooked goulash soup, tarhonya, lngos, and other hungarian specialities! Surprise day in every week! For further information, more pictures, and news visit our Facebook page! We are centrally located in the street, which is called the Budapest Broadway, due to the fact that there are a lot of theatres, cabarets - the real nightlife party area. The location is very reliable - all important sights in Budapest are within walking distance, so forget the public transport (Opera (5 mins), St. Stephen's Basilica (5 mins! ), Oktogon, Heroes Square, Parliament (5 mins! ), Jewish synagogue, Western/Nyugati Trainstation (5 mins! ), etc). ATM machine/banking services in our street, safe parking house 50 metres from us, 24hr supermarket in the corner. ATTENTION! Do not change money in the train station, or airport, because bad rates, and you can lose 20% of your money. Use ATM! Do not pay in Euro, because of the same. The double room is a cosy and quiet private room with one large double bed. Ideal for couples or single travellers, who want privacy. It has two single beds (not bunk beds! ), for travellers looking for privacy. A quiet room with three single beds (no bunk beds!). Own refrigerator in the room. Booking for 2 person is possible for 3690 HUF / night / person. If you decide to book for 2, please leave a note in your reservation. Bright room with two bunk beds. Own refrigerator in the room. Spacious room with single and bunk beds. Ideal for groups or backpackers who wants to meet other people. For larger groups, there is a comfortable convertible couch which can be used as spare bed upon request. All the rooms are self-contained, no walk-through rooms as sleeping area in this hostel! We have internet connection in every room, and wifi in the whole hostel, but we also have a separate computer room with several guest computers. The internet use is free! A friendly area with seats for everyone, great to socialize with fellow travellers. We have a large flat tv, international cable tv is available, so you don't need to stuck on hungarian channels. DVD player to watch your favorite movies. We have a fully equipped kitchen and dining room, with everything you need to cook (including music as we have TV and radio in the kitchen too). Free tea and coffee for everyone! PLEASE NOTE THAT YOU CAN ONLY PAY IN CASH UPON ARRIVAL IN EURO OR HUF. Reception is open from 8 AM to midnight, after midnight we have duty service. In case of late check in, or change of arrival hour please contact us! - Take trolleybus no.78 and get off on the nineth station (Bajcsy-Zsilinszky t). - Take the red metro (subway, underground) or metro no. 2 and get off on the third station (Kossuth Lajos tr/square). Go out of the metro section and take trolleybus no. 70 or 78 and get off on the second station (Bajcsy-Zsilinszky ut). - If you arrive on Nyugati, you are 5 minutes from us. You can walk; you do not need any transportation to reach us. - When you get out of the building, turn on the left, walk 30 meters and on the next corner/block turn right just across the traffic light. - Take the blue metro (subway, underground) or metro no. 3 to the Ujpest-Kozpont direction and get off on the 8th station (Nyugati palyaudvar). - Leave the metro section and when are you in front of the Nyugati (Western) train station; you are 5 minutes from us. You can walk; you do not need any transportation to reach us. - If you are in front of the train station building and looking at a big shopping centre building and square and tram staton, turn left, walk 30 metres and on the next corner/block turn right just across the traffic light. - There are a lot of ways to come to the city. Be careful do not use certain agencies on the Airport, which will charge you a lot of money for nothing (e.g. phone call reservation will cost you 10 EUR!). - You can use Airport Minibus service, which is not expensive if you are alone. If there are two or more people, the best way is to call us and we will transfer you to the hostel for the cheapest price in Budapest!